Ten-man Newport County are through to the semi-finals of the southern section of the Johnstone's Paint Trophy after a convincing win against Portsmouth. 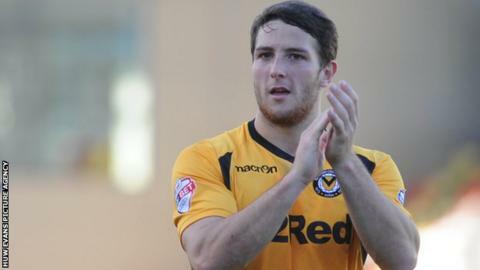 Striker Conor Washington scored a goal in each half, opening the scoring in the fifth minute for the Exiles. Defender Adedeji OshilaJa, on loan from Cardiff City, scored with a header to make it 2-0 at half-time. Newport captain David Pipe was sent off for a two-footed foul before Washington added his second in the 83rd minute. "Our game management, our game tempo and the chances we created...I just thought we were excellent. "I was pleased from start to finish and for long periods we dominated and I thought the players rightly deserved the victory. "Even at 2-0 it's hanging in the balance and if Portsmouth had got a goal it would have been a nervy end. "But I thought we defended and attacked as a group and were worthy of the three goals, and the backline and the goalkeeper deserved their clean sheet."